E. B. 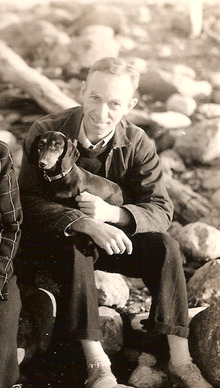 White was born in New York in 1899 and died in 1985. He kept animals on his farm in Maine and some of these creatures crept into his books, such as STUART LITTLE which was recently made into a blockbusting film. He received many awards including the Laura Ingalls Wilder Medal in 1970, an award given every five years to authors who have 'made a substantial and lasting contribution to literature for children'. The following is a personality profile of E B White based on his work. E B White is shrewd. He is calm under pressure, he handles unexpected events calmly and effectively. He is laid-back as well: he appreciates a relaxed pace in life. But, E B White is also imaginative: he has a wild imagination. Considers helping others to guide a large part of what he does: he thinks it is important to take care of the people around him. He is also relatively unconcerned with tradition: he cares more about making his own path than following what others have done.